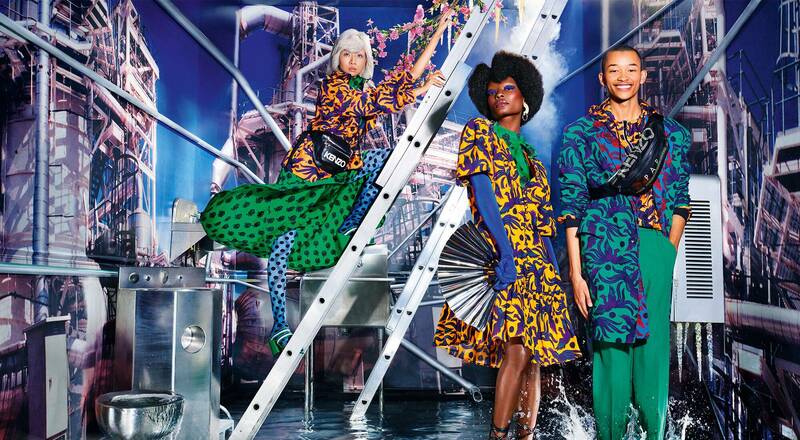 For the Kenzo Spring/Summer 2019 campaign, Creative Directors Humberto Leon and Carol Lim teamed up with photographer and filmmaker David LaChapelle. 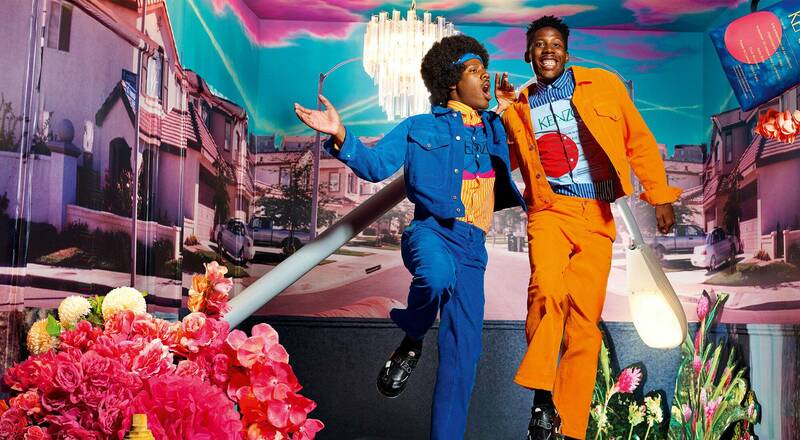 Shot at the photographer’s Los Angeles studio, the campaign depicts an optimistic utopia to bring the collection to life, conjuring a Kenzotopia, where streetscapes, urban apartments and outdoor scenes blur together in a euphoric Technicolor reverie. Right from his debuts in the 1980s, David LaChapelle gained international interest for his unique approach to image making. Over the past thirty years his body of work has established the artist as a fixture in contemporary art. His portrait, stage, music video and film works have become iconic archetypes of America in the 21st Century. To create the backdrop for the Kenzo Spring/Summer 2019 collection he did not simply stage his subjects but brought them to life in a fantasia of his own making. This contemporary take on utopia is inspired by the tropical landscapes of Maui, Hawaii, where he has lived for the past 11 years. “The utopic and heavenly looking, natural spots were all shot in Maui. 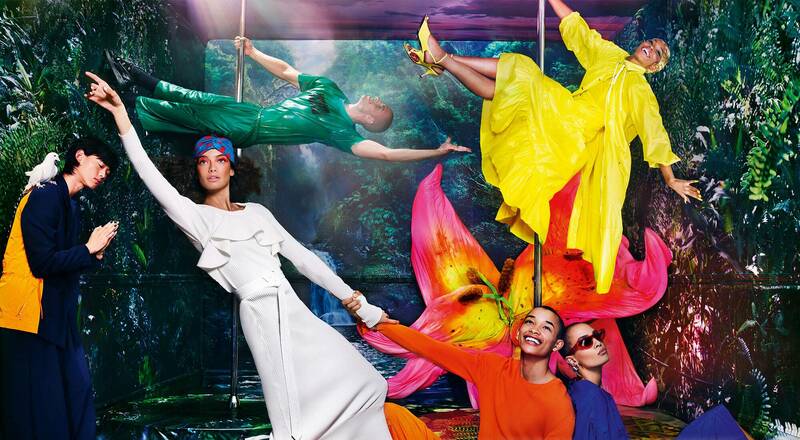 It felt great to just step into KENZO’s world and take another look at utopia with Humberto and the team at KENZO. The result is a really great glimpse of this world. 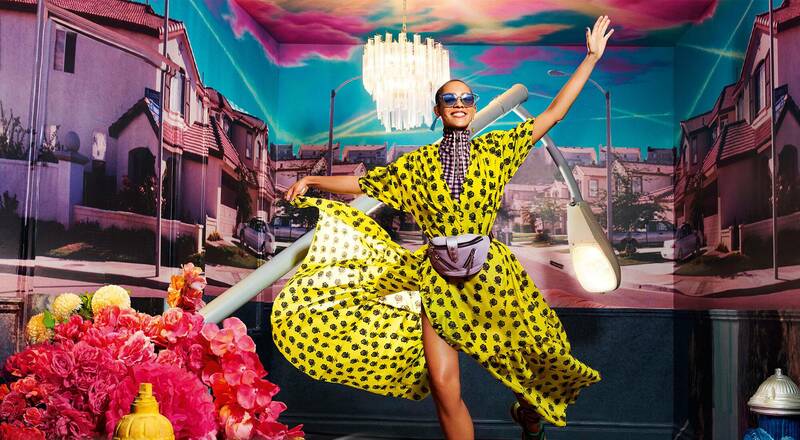 Referencing my own pictures in this sort of surreal way serves it really well,” says David LaChapelle. With its eye-catching, lush colors and bold mingling, Kenzotopia draws inspiration from the rites and rituals of both urban subcultures and Renaissance painting. Models are joined by fashion moonlighters such as dancers, musicians and students. The futurist silhouettes boast energetic colors, revisited shapes and an explosion of exotic prints. “The minute David started to talk to us about what he wanted to do it felt exciting. I think it perfectly captures the spirit of the brand. From the beginning, Carol and I have really wanted to push the imagery or anything else that is different than all the other brands. David really got that and gave us something that was his own, and at the same time feels really aligned with us,” says Humberto Leon, co-Creative Director of Kenzo.